Folks in our section were all looking at the bird who was trying to get my attention. At least, that's what I thought he was doing. The pastor tried to ignore the disturbance. He began preaching about faithful men. The faithful men and women were watching the crow spread his wings and rap on the window with his beak. In the sixth novel in the Kentucky Summers series by Tim Callahan, the action takes place in the winter of 1961 through 1962. The Wolf Pack is excited to finally see where the tunnel and walkway behind the waterfall leads. It's more than they ever dreamed of when they find a locked treasure chest, leading them all to wonder what's inside. All your favorite characters are back in this fun winter adventure along with some you don't expect, such as Timmy's new friend and Coty's new nemesis - the crow. How does the Tattoo Man figure in it all? And who were the skeletons? The Wolf Pack has many new challenges ahead of them. Who should they tell about the surprising findings in the cave? How do they react to a potential new member in their group? 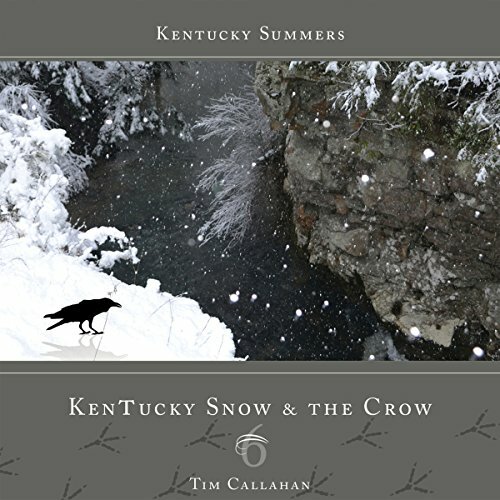 What can be done about a rival group that is determined to do them harm?Kentucky Snow and the Crow is again mixed with the humor, mystery, suspense, and surprise you've come to expect from author Tim Callahan. Reunite with Timmy, Susie, Mamaw, Pawpaw, James Ernest, and so many other wonderful Kentucky Summer characters you've come to love.